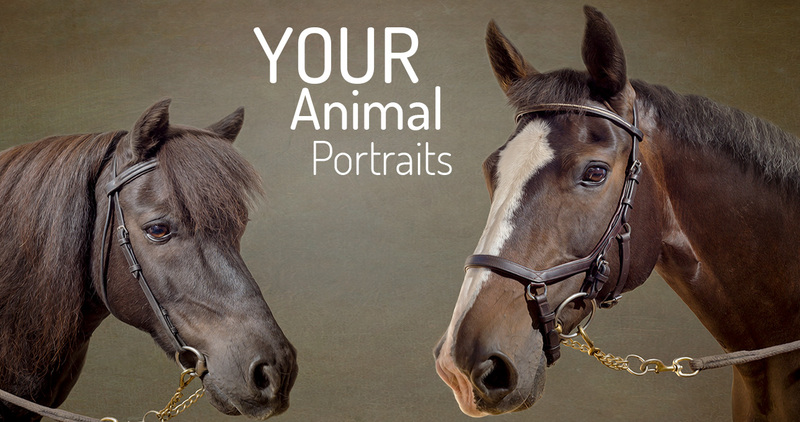 We love photographing animals, revealing their personality and freezing a moment of their life into a single image. Edited in our special painted way, your photograph will be transformed into a beautiful work of art that you’ll treasure forever. We’ll guide you through the entire creative process and help you at every step on the journey. Everything we do starts from a series of photographs that we make in your home or at your yard. We’ll discuss with you print sizes, finishes and framing options, all designed to fit your artwork perfectly into its new home. Next we create for you an online private viewing gallery from which you can choose the images you love the most. We’ll then start our digital painting and produce the final images ready to be finished as the highest quality prints onto fine art paper, canvas, aluminium, or acrylic. Heard about our Yard Visits?